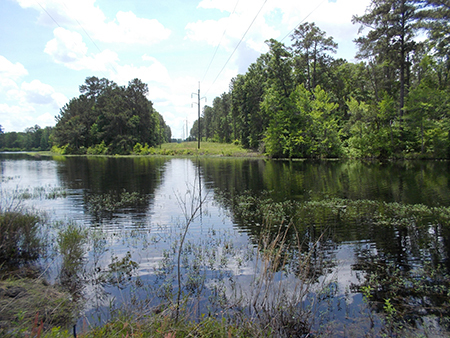 Wetlands and streams are protected at the federal level by Section 404 of the Clean Water Act, which is administered by the Army Corps of Engineers (ACOE). The Nationwide Permit (NWP) process is available for potential impacts to wetlands and streams as long as minimal impacts and thresholds are observed. Impacts above minimum thresholds require an Individual Permit (IP). Under the NWP process it can take 30 to 45 days to receive permit approval. Individual permits are a much longer process and may take 6 to 9 months to obtain approval. Wetland and stream mitigation is often needed for both of these permits. Our success ration with the ACOE, along with a quick response time, translates into less time for your project to get entrenched in paperwork and more time moving towards project success. Personnel from Ecological Solutions, Inc. are qualified and available to assist you in the Section 404-permitting process. We can begin by performing wetland delineation and comprehensive ecological resource inventories within you property and continue by assessing potential environmental impacts and permitting based on a conceptual design. We will then start the permitting process and guide you through every aspect on a efficient and economical manner. Endangered species, mitigation, previous impacts, and existing violations are all issues the may have bearing on this process and can be handled by our experienced team. The National Environmental Policy Act of 1969 (NEPA) was created to ensure federal agencies, including projects that are funded by the federal government, consider the environmental impacts of their actions and decisions. The basic doctrine of NEPA requires the federal government to use all practicable means and measures to protect environmental values. Section 101(b) of the Act states, ”it is the continuing responsibility of the federal government to use all practicable means, consistent with other essential considerations of national policy to avoid environmental degradation, preserve historic, cultural, and natural resources, and promote the widest range of beneficial uses of the environment without undesirable and unintentional consequences.” Therefore, NEPA makes environmental protection a part of the mandate of every federal agency and department. NEPA requires analysis and a detailed statement of the environmental impact of any proposed federal action, which significantly affects the quality of the human environment.